Globe awards signify a wide reach, a vision that is without boundaries, a contribution that has major impact, a strong position in the group, or show that the person is at the top of the world. 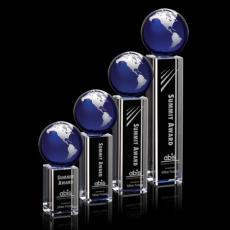 Globe trophies are especially appropriate for a person who is from another country or is an employee with a company that has international offices. 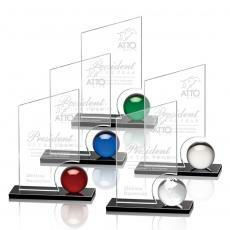 Globe recognition awards come in a wide array of sizes and designs and are made in a variety of materials. They can have the continents marked on them, and lines of longitude and latitude to make them look like planet earth. 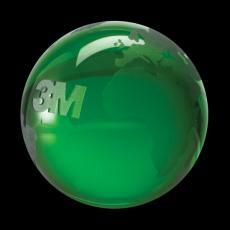 Or you can choose a more impressionistic style, a simple ball made of crystal or acrylic. 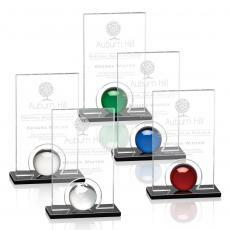 These are often mounted on a wood or metal base. 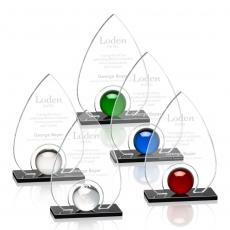 Personalized globe awards have special meaning for recipients. 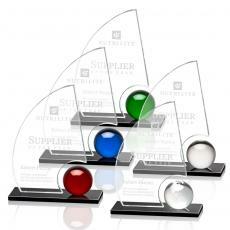 They show that their peers have recognized their contribution. 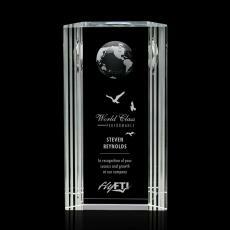 Each time the person receiving it looks at his name and the reason for the award engraved on it, he will remember with pride the moment he received the award. 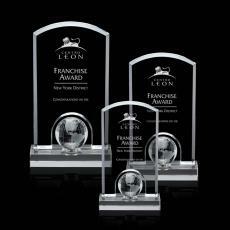 $125 - $200| Sizes: 11", 13", 7" & 9"
$120 - $150| Sizes: 7", 8.25" & 9.5"
$155 - $235| Sizes: 5.5"x7", 6"x8" & 6.5"x9"
$150 - $380| Sizes: 3.25"x6.5", 4.375"x9" & 5.5"x11"
$145 - $215| Sizes: 2.75"x10", 2.75"x6" & 2.75"x8"
$110 - $170| Sizes: 2.25"x6.5", 2.375"x7.625" & 2.75"x9"
$135 - $180| Sizes: 2.75"x10", 2.75"x7" & 2.75"x8.5"
$58 - $85| Sizes: 3.5", 4.5" & 5.5"
$95 - $125| Sizes: 6", 7.5" & 9"
$54 - $116| Sizes: 2.375", 3.125" & 4"
$100 - $115| Sizes: 9"
$105 - $120| Sizes: 9.5"
$100 - $115| Sizes: 9.5"
$110 - $125| Sizes: 9"
$215 - $295| Sizes: 10", 12" & 14.75"
$545 - $575| Sizes: 4"x11.5" & 4"x9.5"
$255 - $395| Sizes: 4"x8.75"
$125 - $175| Sizes: 6.75", 8" & 9"